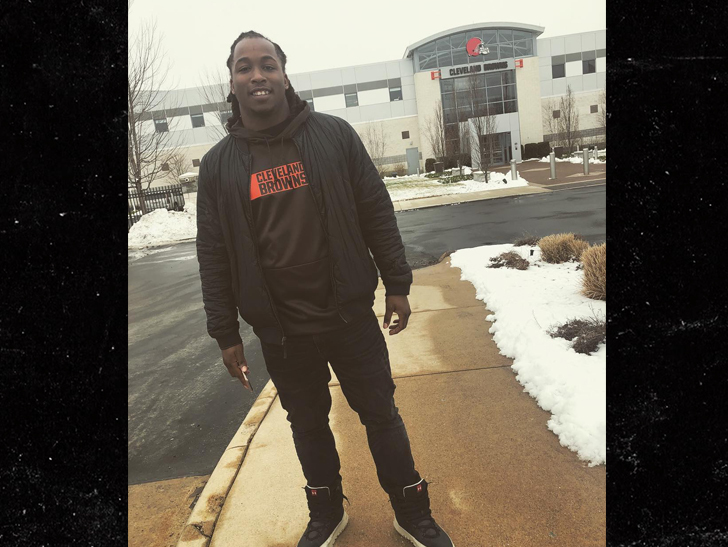 Kareem Hunt deserved a second chance in the NFL and it’s GOOD the Browns signed him Monday … so say 2 NFL players, who tell TMZ Sports they’re happy for the RB. We got Titans TE Jonnu Smith and Eagles DB Jeremiah McKinnon out in L.A. just hours after Cleveland inked the ex-Chiefs star … and both say they’re glad the deal went down. Remember, Kansas City shockingly cut the superstar in November after TMZ Sports posted a video showing him getting violent with a woman in a Cleveland hotel. Hunt apologized almost immediately after … and has said he’s undergoing treatment for alcohol and anger management to make sure similar incidents never happen again. Both Smith and McKinnon are thrilled for the RB … and say the Browns are now definitely a team to watch in 2019.